Pacific Northwest and Alaska, Wild Salmon, Eat Fresh, Wild, Fresh, Clean Eating for every Season! The time is here for clean healthy eating, you can do it! Enjoy seafood, clean, healthy eating habits for PNW & AK Boaters & Fishermen! 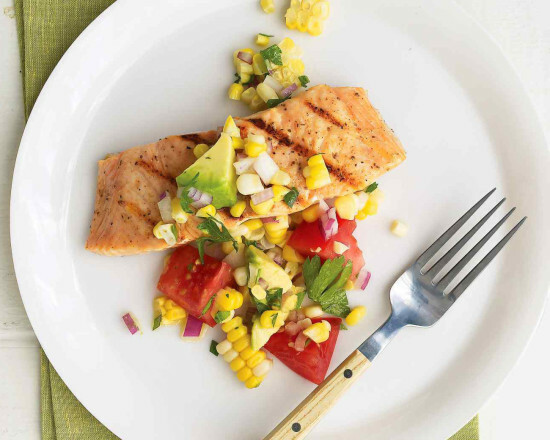 Try This Healthy Recipe: Grilled Salmon With Sweet Corn And Avocado Salad. This sweet corn and avocado salad is so delicious that it’s great on its own, too. You’ll know the salmon is cooked perfectly when the flesh just begins to flake with a fork. You won’t need long to make this one- the salad is as simple as mixing things together in a bowl, and the salmon will grill very quickly. If you can’t grill, use any preferred method to make your fish- but be advised that this tends to go best with Wild Alaska salmon that’s grilled or pan seared. All ingredients can be found at your local Whole Foods Market. 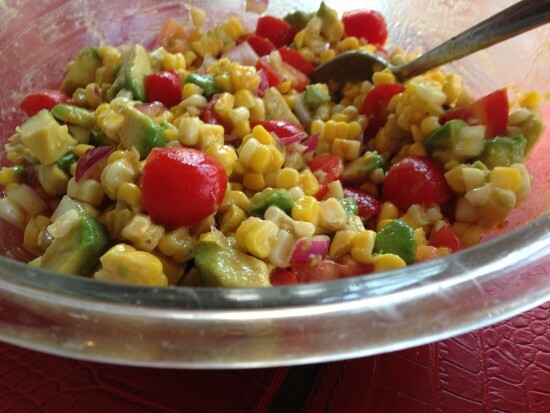 Put corn, tomatoes, avocado, onion, cilantro, oil and vinegars into a large bowl and toss gently to combine. Set aside. Prepare a grill for medium heat cooking. Spray fillets all over with spray oil, then sprinkle on both sides with salt and pepper. Place fillets, skin-side up, on the grill. After about 2 minutes, turn salmon a quarter turn and cook 2 minutes longer. Flip and grill until cooked through, 4 to 5 minutes more. 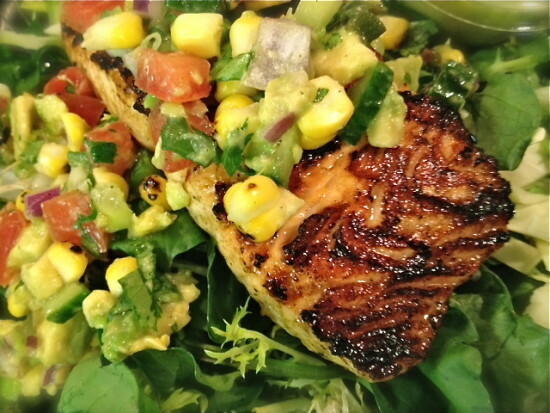 Remove salmon from the grill and top with corn and avocado salad. 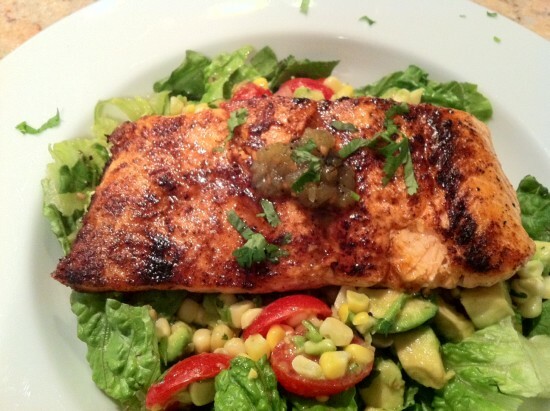 NW Boaters, Try This Healthy Recipe! God Bless Our Alaska Fishermen!! !